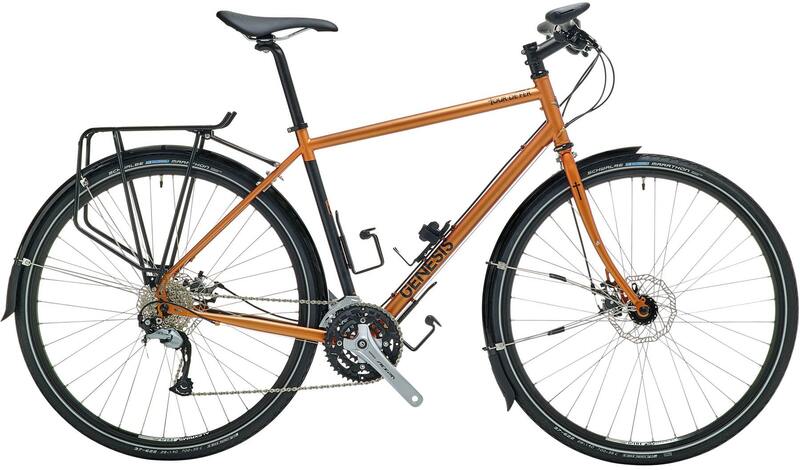 Genesis bikes are a relatively new British brand who use Taiwan as their manufacturing base. The Genesis range is flush with steel frames (including stainless) but they also dabble with some titanium and carbon in their road line up. 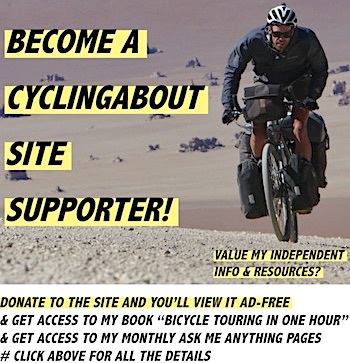 Over the years I’ve been keeping a close eye on the Croix de Fer, a staple bike for Genesis, which I think would be a great lightweight tourer in countries where accommodation and food are easy to come by. But the model that I’m here to talk about today is their new touring bike; the 2016 Genesis Tour de Fer. The Tour de Fer started its life just 12 months ago, but Genesis have already given it an overhaul. 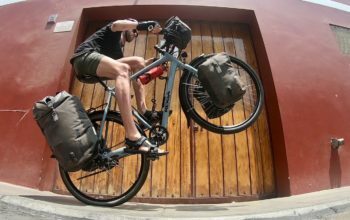 Genesis swapped out the drops for a flat handlebar, upgraded the steel frame tubing, added dynamo lights, Tubus steel racks and a Free Parable Monkii Cage to make this thing touring-capable straight out of the box! 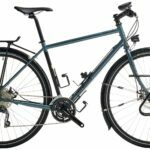 The top model bike is made using Reynolds 725 steel tubing, while the second tier bike employs a heavier 4130 cromo instead. Both bikes have particularly thick-walled downtubes to maintain adequate stiffness with panniers. 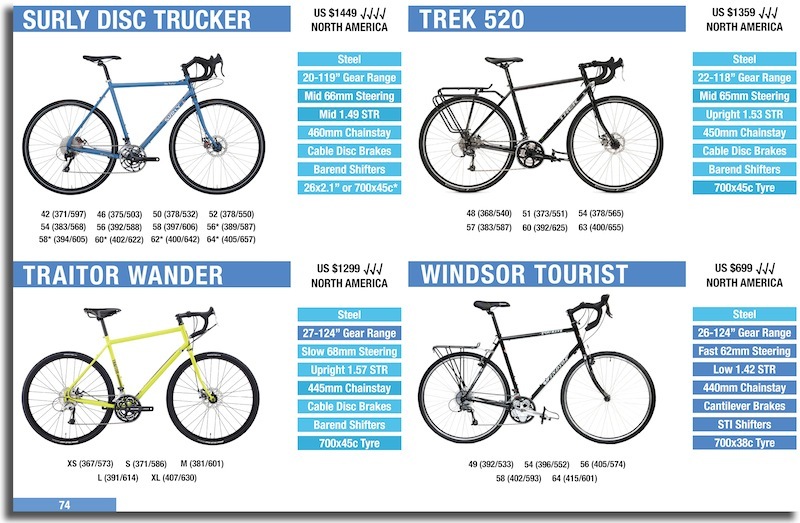 You’ll find lots of touring-specific frame options including 3x bidon cage mounts, rack/fender mounts, a kickstand mount and a spare spoke holder. The chainstays are nice and long at 455mm, permitting adequate heel clearance from the rear panniers. 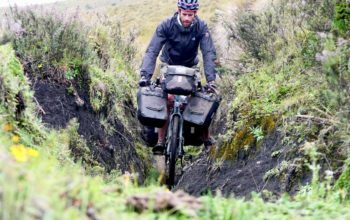 The fork trail is slightly lower than what you’d expect of a dedicated touring bike; without panniers the bike should steer a bit more like a cyclocross bike (but may be a little more twitchy at high speeds compared to other touring options). 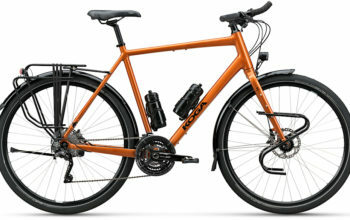 The Tour de Fer is available in two different builds, or as a frame and fork. 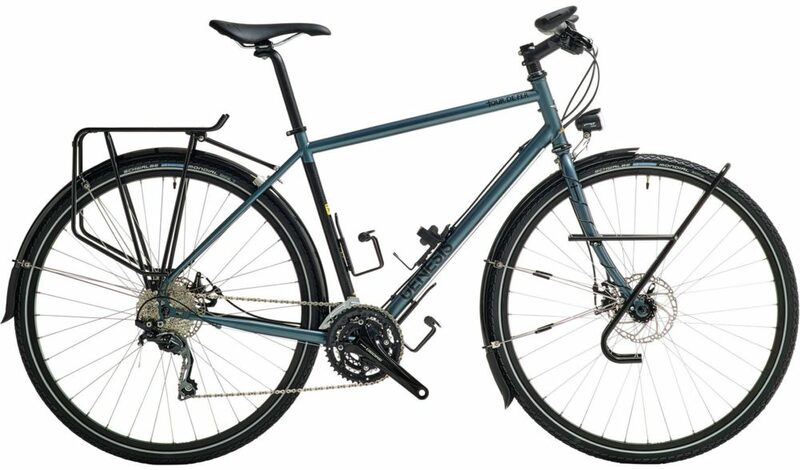 Genesis bikes are unavailable in North America currently, but can be found in the UK, Europe, Singapore and Australia. 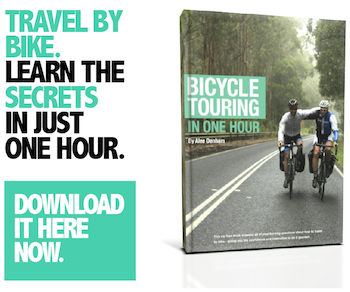 The TDF20 is ready to tour right away! Reynolds 725 steel tubing, Shimano Deore gearing, Tubus racks, TRP cable disc brakes, SP dynamo hub, Sun Rhyno Lite 36h rims, a B&M Cyo light, Schwalbe Marathon Mondial tyres, SKS fenders and the Monkii cage. You can’t fault much there. 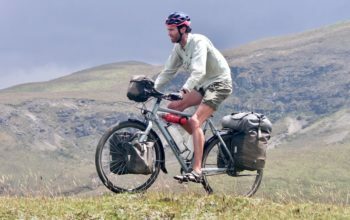 The gear range is exceptional for a stock bike (19 through 109 gear inches) and should see you pedalling up almost any hill. The TDF10 is a full £400 cheaper but still has all the great frame features. The frame is slightly heavier and the spec is downgraded across the board, but you’ll still find a few corners left uncut including the use of a Tubus rack, SKS fenders and Schwalbe Marathon Mondial tyres. Function-wise, you won’t be able to flaw the TDF10. 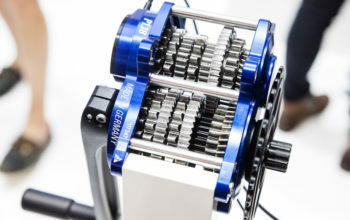 The gear range is again exceptional for a stock bike (19 through 109 gear inches). My only concern is that it may be hard to find a Shimano Octolink bottom bracket these days; they’re relatively uncommon in shops. If you’re planning on dynamo lights and a front rack down the line, you’re definitely better off spending the money now and ordering the TDF20. 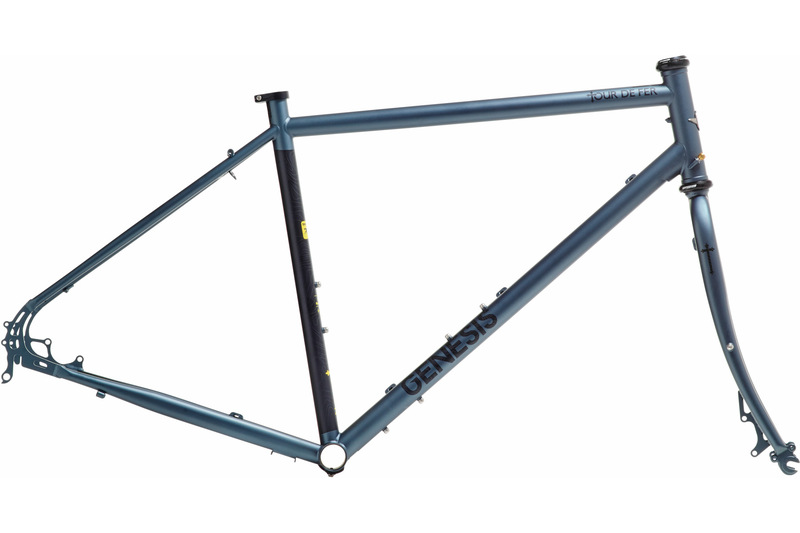 The Reynolds 725 Tour de Fer frameset is available for those preferring to do a custom build. Keep in mind that the frame geometry is optimised around flat handlebars!